Thomas Johnston, Sr., of Big Run, passed away Thursday, November 15, 2018 at home with his family. He was born on December 13, 1945 in Clearfield County, a son of the late Merle and Mildred (Shomo) Johnston. 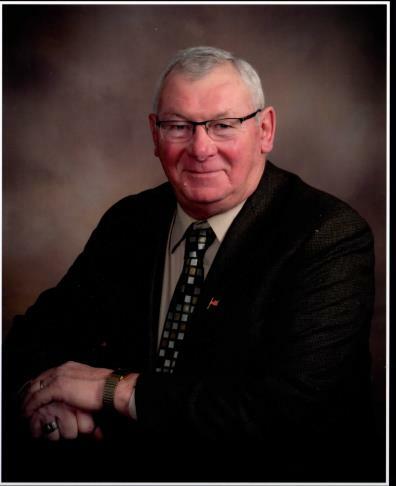 He was an avid sportsman who loved hunting and fishing with his family, tinkering around in the garage working on his tractors, and enjoying gospel music. A proud Navy veteran, he loved participating in events within the veteran’s community around the area, as well as being a member of the Main Street Flag Committee. He was an active member of the Chestnut Grove Independent Church, VFW Post 9044/2076 and the John W. Jenks F&AM Masonic Lodge. He always had a positive attitude and was willing to offer a helping hand to anyone who needed it. He is survived by his loving wife of 53 years, Helen (London) Johnston; two children, Tom Johnston, Jr. and wife Claire of Gilbertsville, PA; Tracey Flesher and husband Jim, of North Canton, OH. He is also survived by family members: sister Janet Martin; brothers Ed Johnston and Vicki Gardner; Robert Johnston; Stan and Denise Johnston; Martin Johnston; sister-in-law Bev London; brother-in-law Jim and Donna London. His four grandchildren are Tommy Johnston, Graham Johnston, Gabriel Frantz, and Julia Frantz. He is preceeded in death by parents Merle and Mildred Johnston, mother and father in law Edith and Edison London, and brother in law John London. Friends will be received from 2:00 pm to 4:00 pm and 6:00 pm to 8:00 pm on Sunday, November 18, 2018 at the Shumaker Funeral Home, Inc of Punxsutawney. On Monday, November 19, 2018 at 11:00 am, a funeral service will be held at the Chestnut Grove Independent Church, officiated by Pastor Joe Spack. Memorial donations may be made in Tom’s memory to the Mahoning Valley VFW Post 2076 Building Fund, 121 Maple Avenue, Punxsutawney PA 15767.